BLS Polymers has carved a distinct niche in the polymer compounding domain. Yet it continues to stay grounded in shared values which serve as the core ethos for the entire BLS Group. All BLS group companies takes a unique customer-centric approach in to ensure highest possible levels of customer satisfaction. Strong technical expertise is emphasized to enable us to provide quality in the most efficient manner possible. BLS group companies have consistently focused on service improvement to become market leader in their respective domains. 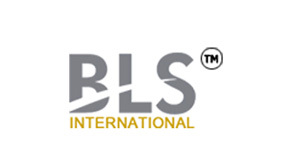 BLS International is an expert supplier for outsourcing of Visa, Passport and Attestation services to superlative Client Governments reaching throughout the world. It performs diplomatic services by handling all the administrative exercises and non-judgmental tasks associated with the complete process of visa application procedure, empower missions to aim on the essential aspects of judgment of the visa application and conducts interviews at any place wherever the clients required and make arrangements for the interviews. We are not the Government organization, we are trusted partner of Ministry of External Affairs, Government of India. BLS Ecotech Ltd. is a leading manufacturer and supplier in the country offering Polyester Staple Fibre and PET Granules & flakes. It is the largest dedicated polyester manufacturer having carved a niche in the market place for its unmatched quality offerings. The Company offers a wide range production of quality Polyester yarn for textile Industry, monofilament for brushes, PET strap & PET bottles for packaging industry and automotive Industry. 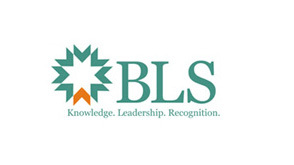 BLS institutions have been serving quality professional education since last 16 years. BLS Institute of Technology Management(BLSITM) has been rated among the top 1% academics institutions based in North India. The institute has state of the art computer lab, language lab, communication lab, design and graphics lab equipped with latest software and hardware, well equipped library and sports facilities like chess, Volley ball, Badminton and cricket, its available on campus. BLS Infrastructure Ltd. is totally engaged in Oil & Gas Industry providing its services in various fields viz; ofonshore pipeline, topside service, Tank cleaning, Pipe cleaning & removal. Hydrojetting and blasting, chemical cleaning, Maintenance shutdown, Refinery turnarounds, Petrochemical Plant turnarounds, Chemical plant turnarounds, Operation & Maintenance (0 & M), Turnaround & shut down, Refurbishment & overhanding, Erection & commissioning, Plant Relocation etc.